Lincoln Certified. Heated/Cooled Leather Seats, Nav System, Moonroof, Back-Up Camera, Satellite Radio, iPod/MP3 Input, Aluminum Wheels, ENGINE: 3.7L TI-VCT V6, Power Liftgate, Panoramic Roof. READ MORE! Leather Seats, Navigation, Sunroof, Panoramic Roof, Power Liftgate, Heated Driver Seat, Cooled Driver Seat, Back-Up Camera, Satellite Radio, iPod/MP3 Input, CD Player, Onboard Communications System, Aluminum Wheels, Remote Engine Start, Dual Zone A/C. Rear Spoiler, MP3 Player, Privacy Glass, Remote Trunk Release, Keyless Entry. ENGINE: 3.7L TI-VCT V6 (STD). 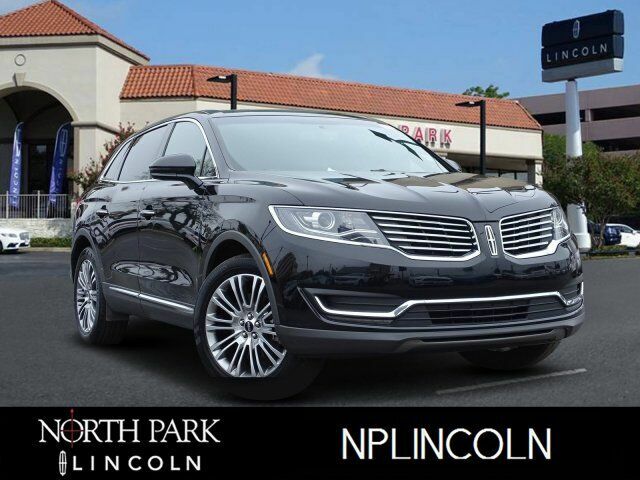 2017 Lincoln MKX with Black Velvet exterior and Ebony interior features a V6 Cylinder Engine with 303 HP at 6500 RPM*. CARFAX 1-Owner Meticulous 200-Point inspection by factory trained technicians, The confidence of a 6-year/100,000-mile comprehensive warranty coverage, Luxurious by standards, Certified by Ours, Complimentary 24/7 Roadside Assistance, The Assurance of a vehicle history report, 24-Hour Customer Assistance, Several Warranty Upgrades Available If you`re looking for a midsize-luxury SUV with an American flair for power, styling and creature comforts, all at a really good price, the 2017 Lincoln MKX luxury-crossover SUV deserves a spot on your shopping list. -KBB.com.